The friend at whose house I am staying out in the woods has no coffee grinder. But he does have an anvil out back. So rather than going all the way into town I decided to get a bit creative. It tasted delicious. And as you can see, there are even enough grounds left for tomorrow morning’s cup of coffee. This entry was posted on Friday, July 23rd, 2010 at 11:24 pm	and is filed under Uncategorized. You can follow any responses to this entry through the RSS 2.0 feed. You can leave a response, or trackback from your own site. When my son threw up in a fight to Tokyo SEVEN times in March (now it counts as my worst flight ever), a flight attendant brought me a few bags of ground coffee to put on the seat to erase the odor and it worked. Thanks Mari, for that stirring contribution! 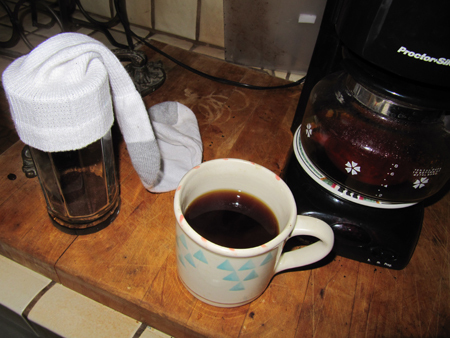 I may have forgotten to mention, you’re not supposed to wear the sock before you use it to grind the coffee. Sorry, excuse me for too much reality of life on your elegant blog I’m a woman who’s been through many messy battles. And I love your sock creativity ‘can do will do’ attitude! 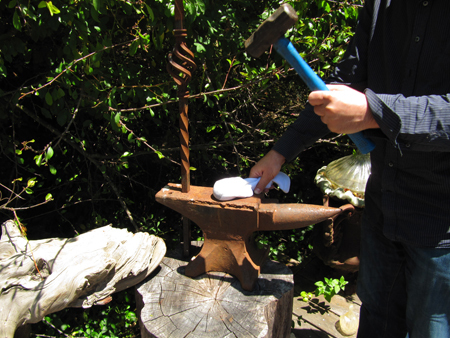 Wow, I needs to get me an Anvil… My life is not complete without. Several reasons Troy. 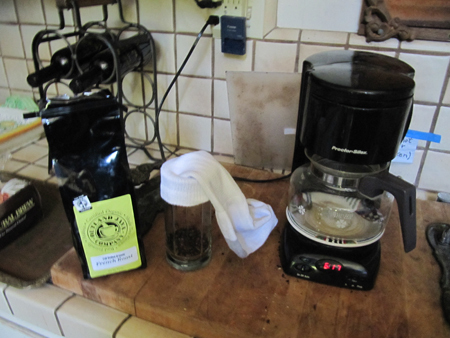 Coffee doesn’t brew as well in a tea bag, and also I couldn’t have reused the sock for grinding the coffee the next day, unless I washed the sock. 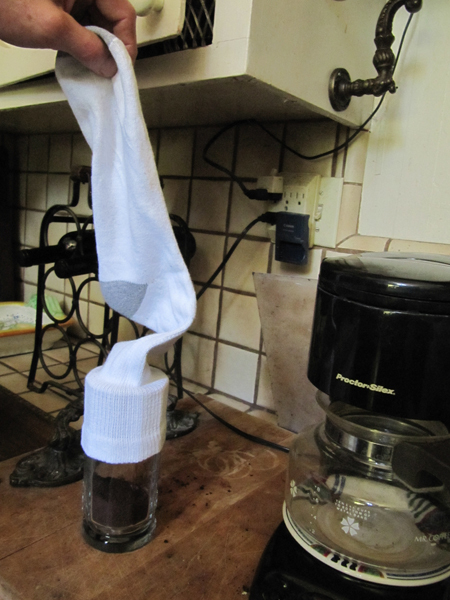 It’s not clear that laundering a sock would have a smaller eco-footprint than using a coffee filter (and with a coffee filter, you have the option of a reusable metal filter). Also, the sock I used was new, never worn, since it seems like a good idea to keep laundry detergent away from my coffee. Troy, that was a wonderfully amusing comment. It made my morning. 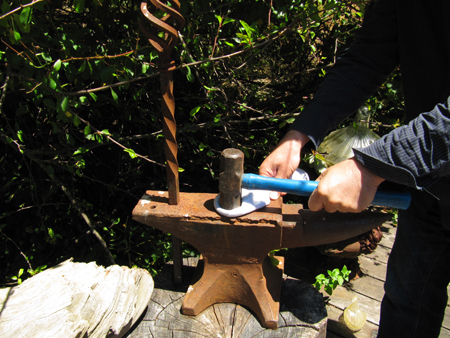 Also, I really want an anvil now.